As the entire world is painfully aware, it is election year in the United States. I realize the images my non-American friends see may not inspire confidence. Our process is messy in the best of circumstances, and this year we are not at our best. I have listened to most of the debates. Candidates on both sides of the aisle have made statements that under their presidency such and such a thing would happen. I sometimes wonder where they are getting their advice. Let me be clear: every candidate does this. And yes, some do it more than others. With all the political shooting from the hip that’s going on, I think it might be instructive for us to look at what the leaders, not just of the United States but of the whole world, are facing as they attempt to make decisions today. I will structure this exercise as an open letter to the presidential candidates, telling them what I think the winner can expect to face in the way of global economic realities on his or her first day in office. These will be highlights, not an in-depth discussion, but I’ve written on these topics extensively over the past year. Let’s jump right in. In ten months and four days one of you will wake up as Mr. or Mrs. President. After the fabulous fun of post-inaugural balls (I wonder if I’ll get an invitation after this letter), you will walk into the Oval Office on Saturday, January 22, and launch into your first 90 days in office, during which you will want to deliver on as many of your promises as possible. But instead of shadowboxing with hypothetical futures on a debate stage, you’re going to be up against cold, hard reality. My suspicion is that six months into your presidency you will begin to wonder why you ever wanted this job, as the gulf deepens and widens between what you wanted to do and what you can do without unintended consequences. To make your job just a little more manageable, what I would like to do is take you around the world and review some of the economic realities faced by our global partners. For many of them, those realities are not pretty. They may be far more limited in what they can do to respond to your proposed agenda than either they or you would like. We are going to fly, metaphorically speaking, from San Francisco and head west, first to Japan and China, and then on around the world. First, let’s do a quick overflight of the economic problems you will have to deal with in various regions the world. Japan has run up a debt of almost 250% of GDP, and that monumental debt is growing every year. Japan’s deficit stands at nearly 8% of GDP, the equivalent of a $1.2 trillion deficit in the US. The country’s nominal rate of GDP growth has remained almost flat for 25 years, the result of unrelenting deflation. The Japanese 10-year bond market used to be one of the most liquid in the world. Now, if the Bank of Japan is not in the market, there is literally no trading. If the Bank of Japan were not buying bonds, interest rates would rise precipitously; and the government of Japan would be bankrupt in short order. In order to avoid a deflationary depression, Japan is monetizing not only its deficit but a great deal of its outstanding debt. This move has of course pushed the Japanese yen down against the dollar – by some 40% in the past few years. The problem is that Japan has no choice but to continue down that path. As an aside, most mainstream US economists (the very economists you will likely turn to for advice) are telling Japan that it needs to do more quantitative easing, not less. The yen is likely to become markedly weaker on your watch; and, frankly, there is very little you can do about it without sending Japan even further into recession/depression. Such an event in Japan would have serious impacts on global growth and trade. We’ll get into some details below as to what your options are. Like Japan, China has a massive debt problem. But unlike the people of Japan, the majority of China’s citizens still live in abject poverty. In a distortion of capitalism, China has built massive excess capacity in a number of manufacturing industries and will now be forced to lay off millions of people or plunge even deeper into the debt abyss. There are significant outflows of Chinese currency as wealthier citizens look to get out of a currency they are worried about. China is at the point in its evolution where it must shift to a consumer-driven economy, though that transition is nearly always tumultuous. 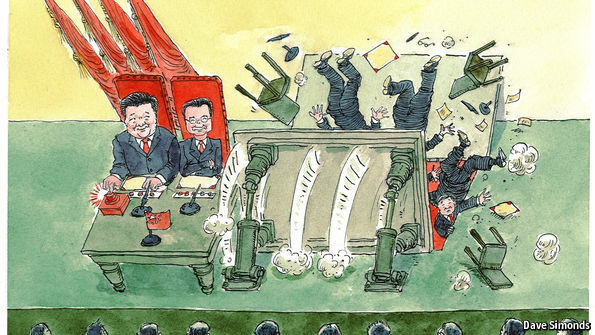 In short, Chinese leaders have much less room to maneuver than everyone might wish. As China changes course from a manufacturing powerhouse to a consumer-oriented nation, Australia is seeing its commodities industries suffer. Plus, Australia’s housing market is priced very high by global standards, and people have a large amount of debt attached to their homes. While there are not many direct economic consequences for the United States, Australia has been a reliable ally, and the Aussie economy is going to come under pressure. The Middle East is always a nightmare for US presidents, but you are going to inherit some especially nasty problems. The low price of oil is putting immense pressure on national budgets. Some experts expect Saudi Arabia to literally run out of money by the end of your term. Yes, Saudi leaders can and probably will make adjustments, but the new economic restrictions are going to impair their ability to be part of any coalition to bring stability to the region. And the same problem affects most of our smaller but still important allies in the Muslim world. Economically Russia is not as important as Japan, China, or Europe; but geopolitically it certainly is. Russia simply cannot afford to let the oil price remain below $40 or even $50. Any further downturns in the price of oil will put enormous pressure on President Putin. Russia’s developing financial crisis will continue to make that nation ever less predictable. Outside of domestic concerns, Europe is going to demand your greatest focus. During your first term it is likely that Europe will descend into a crisis that will force the EU either to break up or to mutualize and then monetize its debts – which would then trigger enormous volatility in the currency markets. The topic of massive nonperforming loans at Italian banks (~20% of loans) will move to the forefront at the very beginning of your term if not before. This will be a debt crisis much worse than we saw in Greece. Many small and medium-sized German banks also have severe problems. And let’s not forget France and Spain, which are teetering economically and politically. Europe’s economic problems are only going to make the fallout from its immigration crisis worse and severely limit the ability of our allies to join us in a coalition to resolve crises elsewhere in the world. Be thankful Great Britain is not in as dire a shape as Europe is; you may we ll need the Brits on your side. It is distinctly possible that Canada could roll over into recession during your first term, and low-priced oil is certainly not helping Mexico, either. The peso is down 50% since the middle of 2013. Brazil is a mess. Its currency is also down 50% in less than four years, and there is no reason it couldn’t fall further. Brazil is likely heading into its deepest recession in over 100 years, which will drag down its neighbors. The US economy is growing by less than 2% annually, and there are reasons to think the economy is slowing further, into the 1% range. We have already waded through the third-longest recovery period in history without a recession; and if by chance you manage to avoid a recession during your first term, the current recovery will become the longest recession-free period in American history. Given the worries I have already mentioned concerning the rest of the world and its impact on us, it is likely that you will have to deal with a recession. As part of your transition process you might want to think about what a stimulus package would look like during a recession. Monetary policy is clearly not going to be enough this time, but you can count on this Fed to give you even more monetary stimulus. A recession will mean that the US fiscal deficit blows out, and deficit hawks are going to be very wary of fiscal stimulus after the last attempt in 2009–10, which produced very little in the way of measurable results. You will have anti-recession options, but they are limited. By the end of your first term, it is very possible that tax revenues will cover only entitlement spending, the defense budget, and net interest, meaning that any other parts of the budget will have to be borrowed. To avoid that crisis, you will have to implement significant entitlement reforms or a major tax increase. Either option will be painful, needless to say; and unfortunately, the politicians who governed before you generally put off the serious issues that are going to come to the fore on your watch. The possibility of growing our way out of the budgetary problem, which is the usual political answer, is not going to be realistic without significant tax, entitlement, and regulatory reforms, all of which are controversial. Oh, and income inequality and the pressure on jobs will likely worsen without a serious change in course. And you want this job why? The problem with Japan is that for 25 years they didn’t manage to deal with their fundamental problems. They tried to use fiscal deficits and spending to lift them out of their economic malaise without also implementing much-needed reforms. Essentially, the Japanese are savers, and they took their savings and put them into government bonds through various retirement programs and other means (insurance, corporations, etc.) And thereby financed a debt that is now upwards of 250% of GDP. They are running anywhere from 7% to 8% of GDP as a deficit, and they are monetizing an equal amount by buying bonds on the open market. Essentially, the Bank of Japan is the bond market in Japan. Very few bonds are traded except to the Bank of Japan. Without the Bank of Japan’s presence, Japan’s interest rates would skyrocket, and their interest expense would overwhelm their already deficit-ridden budget. Further, without the massive amount of QE the BoJ is doing – which is proportionately larger than anything the Fed or ECB is doing – the Japanese would face a deflationary recession or worse. In short – as I was already writing six years ago – Japan is now left with only unhappy choices. No politician can willingly stand by and watch the country plunge into a deflationary depression. We need to understand that the BoJ is doing exactly what the Federal Reserve did during our recent financial crisis, except that Japan’s crisis has extended way beyond whatever time frame they had originally envisioned. It now appears that Japan will be practicing QE for a very long time, at least until the Japanese government balances its budget – which it is now projected to do somewhere out beyond 2020 – and the Bank of Japan has brought enough of the outstanding quantity of JGBs (Japanese government bonds) under the protective wing of their balance sheet so that the market can go back to functioning normally. I repeat, this Japanese policy has been recommended by the very same economists that you’re going to turn to for recommendations on US policy. The overwhelming majority of mainstream economists (think MIT, Princeton, Harvard, Yale, and Berkeley) are Keynesians or neo-Keynesians and believe in the gospel of QE and liberally applied stimulus, and stimulus is the policy recommendation they are going to deliver from on high when we hit our next recession. This Japanese policy is going to continue to put pressure on the yen. The yen has already dropped from the mid-70s to between 115 and 123 vs. the dollar in recent months – a 50% drop. While it won’t happen overnight, I think it is very possible that the yen could hit 150 during your first term. A falling yen is going to put enormous pressure on US companies that compete with Japan. It is also going to put enormous pressure on China, Korea, Germany, and all other exporting countries. It is unrealistic to think that they will not respond to protect their market shares. Japan is at the epicenter of the developing currency wars because the Japanese can’t get off the tiger they’re riding. Oh, from time to time, when traders are too aggressively short the yen, the BoJ will enter into the currency markets and perform an operation to remind people that aggression can be costly. One way and another, the ultimate result is going to be a much lower yen, but the hope is that the fall won’t be too precipitous. So the players in this very complex currency war game all sat down and came up with a simple agreement. The ECB and BoJ would focus purely on the DOMESTIC credit-easing channel. They would not use these highly powerful negative rates (and forward guidance) to lower risk-free real rates, and in turn weaken their currencies. Further, the Fed likely gave assurances that it would not rates, and in turn weaken their currencies. Further, the Fed likely gave assurances that it would not remove accommodation too quickly via rate rises. That would also keep the DXY in check and give the Chinese time to use fiscal policy and structural reforms to manage the unwind of their debt bubble. All that said, I can imagine the Fed is thinking long and hard about ways to focus less on rate rises and more on a domestic credit tightening if conditions warrant further accommodation removal. The exchange-rate externalities which arise from using rates may simply be too problematic given the delicate bilateral “détente” structure between the PBOC and FOMC. That is certainly some food for further thought. This win-win approach may in fact work for a period of time, but when there is a true debt crisis in Europe, or if China has a serious hiccup, then it will be every central bank (and country) for itself. I wrote four years ago that the latter half of this decade would bring the most serious currency war we have seen in our lifetime. I really am afraid that I’m going to be right, and it will be on your watch, Mr. or Ms. Would-Be President – and please bear in mind that currency and trade wars of the kind that we had during the early ’30s turned a recession into the Great Depression. It’s going to take a lot of work to keep this worst case from happening on your watch. Since the 180-degree turnaround engineered by Deng Xiaoping in the 1980s, China has amazed the world. China has built phenomenal cities and made other amazing infrastructure improvements – railroads, airports, highways, dams, and utilities – and has moved 250 million people from medieval poverty into urban life. That is the largest mass migration in the history of the world by an order of magnitude. China has grown into an export powerhouse and has accumulated trillions of dollars in reserves. China is getting into the venture capital business in a big way. A really, really big way. The country’s government-backed venture funds raised about 1.5 trillion yuan ($231 billion) in 2015, tripling the amount under management in a single year to 2.2 trillion yuan ($340 billion), according to data compiled by the consultancy Zero2IPO Group. That’s the biggest pot of money for startups in the world and almost five times the sum raised by other venture firms last year globally, according to London-based consultancy Preqin Ltd. The Chinese leadership is targeting anything and everything in an effort to keep their domestic growth alive. But will they be any more successful than they have been with their government-funded solar and wind power sectors? They are more likely to produce a few winners and a lot of losers, just like any other venture capital effort in the world. Throwing a lot of money at startups is not necessarily the best way to create viable new businesses. You actually have to have management and processes. Sadly, successful entrepreneurs are not a dime a dozen. You need an environment that fosters them. Let’s turn to the steel industry. China has built twice the capacity that it needed even in the period of full-on construction growth. That period is subsiding, yet China still has the capacity to produce more steel than the rest of the world combined. To say that this is excess capacity is a severe understatement. Premier Li has talked about the need to eliminate two million jobs in industries with excess capacity (it’s not just steel; there are a lot of similar situations). The Chinese have already eliminated millions of jobs while trying to move people around and keep the growth engines turning over. How have they managed to keep growing? The growth is debt-fueled. The balance sheet of the Chinese central bank has risen a hundredfold in 20 years. Twenty years ago China had $500 billion of public and private credit. Today it has $30 trillion. There are estimates that China is adding debt at the rate of $6 trillion a year. New loans to businesses were up 73% in January over the prior year. Some estimate that more than 60% of new debt issuance in recent years has been used to pay interest. In less-polite economic circles, that is called Ponzi finance. There are huge state-owned enterprises (SOEs) that have massive excess capacity and debt they can’t pay. We’re talking debt far more massive than China’s reserves. Chinese leaders recognize they must try to shift their economy from exports and construction to an emphasis on consumer spending. They want to wean their big SOEs away from debt, which means they have to shrink them, but where will the new jobs come from to maintain consumer spending? They have made some headway, but they are a long way from achieving anything close to a balance. In other countries, this transition has always been somewhat wrenching. Thus, the Chinese are throwing massive amounts of money at venture capital and startups, trying to jumpstart a new source of growth. I am sure all of you have friends in Silicon Valley or Austin or other high-tech regions. Ask them how fast you can go from an entrepreneurial idea to a real business that adds a lot of jobs? Without displacing other jobs? It’s not a short-term process. We see that the bottom 20% of the country, more than 250 million people, is living on disposable income of about two to three dollars a day. The next 20% have roughly twice that. The simple fact is that the majority of the country is still living in fairly abject poverty, with a subsistence lifestyle. Wikipedia documents research that shows upwards of 100,000 protests a year occur in China. There is a great deal of frustration in the country, but the Chinese government is doing as much as it can as fast as it can. This does however create limits on how the Chinese can respond to outside pressures. For any country in the world, including China, internal pressures and politics will outweigh external pressures. China has clearly used debt and foreign investments to fuel its growth. It has clearly protected its own industries. And it is coming to the end of its ability to use these means to reliably fuel growth. The new reality constrains China’s policy choices and actions. And then there is the trade deficit between the US and China. Calculating that deficit is not as straightforward as looking at the bottom-line numbers. For instance, take the Apple iPhone. Its final shipping cost contributes 100% to the Chinese trade deficit, but the iPhone is not made in China; it is assembled in China. Big difference. Component parts come from literally all over the world in a massive global supply chain. 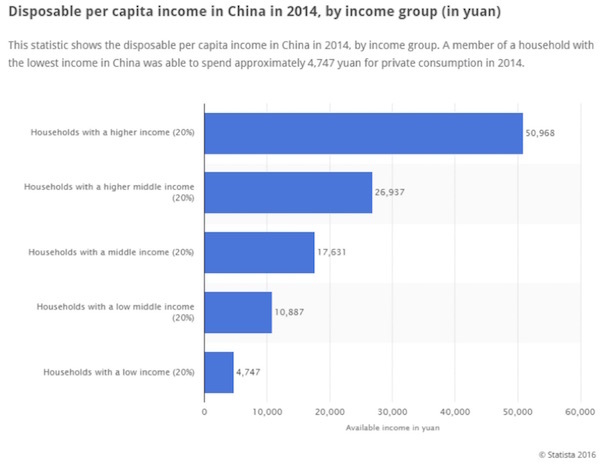 Chinese labor is only a little under $7 of the almost $200 cost. As of a few years ago the countries that were the biggest suppliers of materials for the iPhone were Japan and Germany (source). Some estimates have the iPhone costing $1500-$2000 if it were made entirely in the United States. Much of that total is due to the very high corporate taxes that Apple would be forced to pay – a cost that would get passed directly to the consumer. While the iPhone is an extreme example, there are a number of other products that have similar cost structures. Of course, there are many less-complex products that are made wholly in China. Imposing tariffs on Chinese goods would simply add to the cost consumers pay. Candidate Trump’s proposed 25% tariff on all Chinese goods would result in Walmart shoppers paying that tariff. Unilateral tariffs on products that China is dumping or subsidizing are an entirely different story. We levy such tariffs against a number of countries, especially when we have the ability to manufacture the same products in the US. Finding a fair, workable balance without creating a trade war is the tricky part. Of course, Chinese theft of intellectual property and engagement in cyber warfare are also factors in the equation. Not easy issues for any president to tackle. And then there is the matter of currency manipulation by China. China does control its currency, so I guess you can say that’s manipulation, but it is not manipulation in the way some candidates are presenting it. 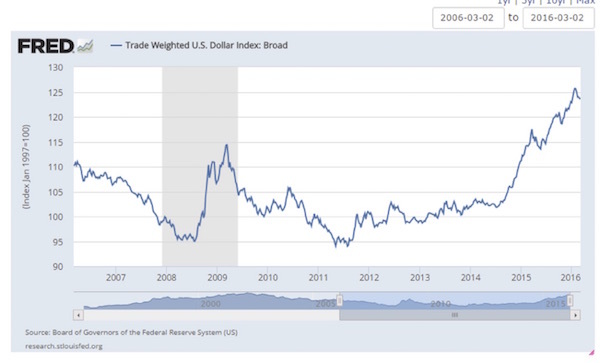 First, let’s look at a graph of the US dollar in a trade-weighted index. Notice that the dollar was markedly weaker from the beginning of the first round of the Fed’s QE until QE began to be phased out. I can tell you that the rest of the world certainly felt that the United States was manipulating its currency, even though technically all we were doing was trying to stimulate the economy. 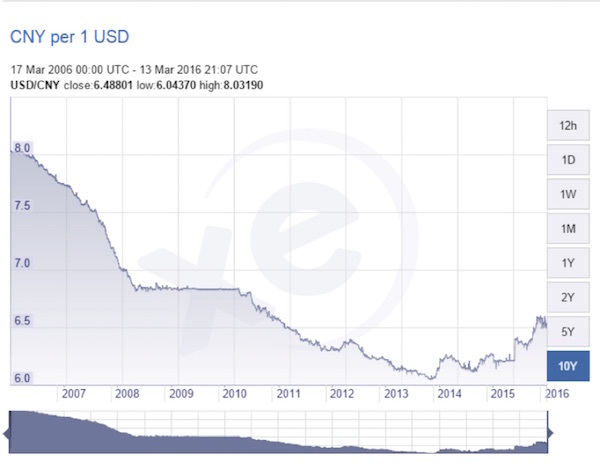 Now let’s go to a graph of the Chinese yuan over the same 10-year period. Note that the Chinese currency went down against the dollar roughly when we began QE and was allowed to drift further downward until the middle of 2013. Comparing the charts, notice that the dollar began to get stronger a little bit before this period and then began a significant rise. Ninety percent of global currencies (ballpark guess) fell against the dollar during that period. If the Chinese were guilty of manipulation from the middle of 2013 on, they did it by manipulating their currency up, not down. China now has a currency conundrum. Many of the countries against which China competes for exports have currencies that have fallen significantly against the Chinese yuan. As I noted above in the discussion of Japan, it seems that the G-20 countries have declared a truce in the currency wars. But China cannot allow the euro or the Japanese yen to fall much further against the yuan (and the dollar) without responding. The reason I used the US trade-weighted dollar graph above is that it’s a basket of currencies weighted with respect to those countries we actually trade with. This means it is weighted to Canada and Mexico along with China and Europe. Note that the currencies of some of our trading partners have dropped 50% relative to the dollar! The Chinese yuan has shown significantly less volatility than the US dollar has in the past 10 years, due to China’s artificially maintaining the strength of the yuan. The problem that the next American president faces is that it is going to be increasingly difficult for the Chinese to maintain that valuation. China is bleeding currency as its wealthier citizens do everything they can to legally move out as much currency as they can. Now, China’s export industries are suffering from a lack of growth. They are totally reliant upon debt-fueled credit for what growth and debt service they do have. For many of us, the fact that the Chinese have held it together for this long is rather amazing. Again, the simple fact is that if China were to fall into recession it would be a major blow to global growth and trade and could even lead to another global recession on the order of 2008, especially if the downturn were accompanied by recession in Europe. Which, as we will see next week, is entirely possible. The Chinese leadership is constrained by the economic distortions mentioned above. They want to maintain stability and growth, and doing that means they will be limited in their responses to outside pressures. Any negotiation with them, given their constraints, is going to be tough. We have covered just two major countries, and the letter is already overly long, so I will (hopefully) finish it next week. I’ll be heading out at the end of month to Rob Arnott’s fabulous advisory council meetings, this time at Pelican Hill in Newport Beach. Those of you who know Rob and Research Affiliates know that his conference is a tad more academic than most, but he combines the intellectual heavy lifting with a fabulous food and party experience. It’s kind of like Adult Nerd Heaven. Then the following week I’ll be in New York, speaking and attending a conference. For those who want to attend my annual Strategic Investment Conference this May 24–27 in Dallas, I hope you have registered. The conference is sold out, and we are creating a waiting list. We are trying to figure out how to accommodate more people but will not do so if we cannot make sure that the total experience for those already registered will be up to the standards we always strive for. That said, if you want to attend, I suggest you go to the Strategic Investment Conference website and register to have your name put on the waiting list. I can almost guarantee that if we do find a way to accommodate a few more folks, those seats will almost immediately disappear, too. Those who wanted to wait to the last month to register are going to be disappointed. I won’t even tease you with the fabulous new speakers that we are seemingly adding every week. It just keeps getting better and better. And since I can’t take everybody to Austin for the amazing local music scene, we are working on bringing Austin music to Dallas. It’s going to be fun! Just a little Texas ambience for y’all. Most of the family enjoyed a quiet sushi dinner last night to celebrate Tiffani’s 39th birthday. Somehow, having a 39-year-old daughter makes me feel older than my actual age. And somehow, looking around the table last night, everybody else looked like they hadn’t changed that much in the last 10 years, except for Trey, who is just 21. I look in the mirror and don’t think I’ve changed all that much, either – until of course I look at pictures from 20 and 30 years ago and cringe. But somehow, turning 67 later this year doesn’t seem quite as bad as I think it would have seemed to me 20 or 30 years ago. We savored our sushi at a wonderful little restaurant called Deep Sushi, which is in an area of town called Deep Ellum. The center of the area is Elm Street, and when the freeways were put in decades ago, the area went downhill and then developed a kind of trendy, counterculture scene … before morphing again to become rather dicey and dangerous. The local merchants hired their own security, and now Deep Ellum is back, bigger and better than ever. Just as in many other cities, there is a growing urban revitalization movement in Dallas (which I am part of because I live in Uptown). Deep Ellum is all of six minutes away from me, with its scores of great eclectic restaurants. It is still very counterculture, and so the majority of people on the street and in the restaurants and bars were young, with plenty of tattoos and long hair and beards. We parked a few blocks away from the restaurant and walked, and my so-called mind kind of flashed back to when I was this yo ung. We thought we were just as cool and every bit as edgy. In some ways, Dallas is developing neighborhoods much in the same fashion as New York. Downtown Dallas was a ghost town 10 years ago. Now people are buying those ancient skyscrapers and turning them into condos and apartments. Downtown is kind of developing a hip-hop vibe. The street scene is vibrant, with lots of restaurants and stores. Developers are building apartments everywhere around the city center. In the Uptown area where I live, north of downtown Dallas, we are seeing multiple high-rises being built, not to mention massive apartment complexes and retail stores. The food scene is decidedly more upscale here. Then there’s Upper Greenville and Lower Greenville, each with its own distinctive style. All those century-old homes are now being rebuilt. Lakewood, too, has come back. And of course the Park Cities. There are whole neighborhoods within a few blocks of me that are largely Hispanic. A driver and a four iron can get you from here to the gayborhood. A nd the West Village area where I lived a few years ago has a very young, yuppie feel to it. I kind of like the way Dallas is developing. I’ve always envied New York for its neighborhood environment and being able to walk to food and entertainment. That’s been happening now in Dallas for a decade or two. And don’t look now, but Dallas has become a foodie town. The competition is fierce, but that just means I can find a good meal at a good table. It’s time to hit the send button, as I have a lot of material to review for the new book. My research groups are beginning to get me their first documents, and I’m still trying to get my own chapters finalized. I knew this would be a massive project, and it is! But at the same time it’s a great deal of fun and intellectually stimulating, so I’m glad I decided to do it. You have a great week. It's the gateway to Europe and the gateway to Germany. A woman in boots and a blue uniform stands guard in front of the gate. Her name is Foteini Gagaridou and she is an official with the Greek border police -- and she looks exhausted. All it would take for her to open the border would be to pull a thin metal pin out of the latch, but she's not allowed to. The decision as to whether and how many refugees will be able to cross the border isn't one for border guard Gagaridou to make. Rather, it will be taken by the Macedonian government. Macedonia, for its part, is pointing fingers at countries further to the north, noting it is they who have tightened their borders, especially Austria, which created a chain reaction of border closures last week. The countries apparently felt they could wait no longer for the broader European solution German Chancellor Angela Merkel has promised will result from a special EU summit scheduled for March 7. Merkel wants to see Turkey stem the flow of refugees and put a stop to the exodus to Europe. European leaders agreed on Feb. 18 that this plan remains the "priority." But Austria and the Balkan states nevertheless moved ahead and closed their borders. Idomeni has become a symbol of the current political chaos in Europe and the crumbling of a joint European refugee policy. The town is emblematic of the new Europe of fences. It is here that German Chancellor Angela Merkel's open border policies have met their end. Under Austria's leadership, the Balkan Route has been closed in the precise move Berlin had hoped to avoid. Merkel has begun warning of the EU's disintegration "into small states" that will be unable to compete in a globalized world, as well as of the possibility that border controls might soon be reintroduced all across Europe. Were Europe in agreement, it would be unproblematic to accommodate 2-3 million refugees, given the Continent's population of a half billion people. From such a perspective, the current spat actually seems somewhat ridiculous. But in the run up to next week's EU summit, Europe is gripped by strife. Europe's greatest achievement, the opening of its borders through the Schengen agreement, is at stake, and the increasingly toxic atmosphere between countries has reached alarming dimensions. First, Austria decided not to invite Greece to the West Balkan Summit the week before last, at which an agreement between 10 countries was reached to close the borders. Athens was rejected because it is viewed as having followed a policy of simply waving refugees through. In response, Greece withdrew its ambassador from Vienna and cancelled planned meetings in Athens with the Austrian interior minister. Slovakian Prime Minister Robert Fico in turn warned Greece that if the country didn't move to secure its borders that, "there will be one single hotspot and it will be called Greece." Perhaps, he added, it may be necessary to sacrifice Greece for the sake of Europe's well-being. The refugees are encountering a Europe that was already fatigued and disunited even before their arrival, weakened as it had been by years of the euro crisis, frequent disagreements between Germany and France (once the motors of European unification), anxiety over the special wishes demanded by Britain and the threat of Russia's aggressive stance in the east. In a Europe where immigration policies are among the most controversial issues and right-wing populism is on the rise seemingly everywhere, nationalist tendencies have emerged as a frequent specter since the very beginning of the refugee crisis. Europe's weakness, though, is also the product of a Germany that is having trouble fitting into its leadership role on the Continent. For decades, German politicians have sought to eschew expressing Germany's own interests, instead emphasizing what is best for Europe and trying to be the best Atlanticists possible, exercising restraint when it came to their role in the EU. This changed during the euro crisis. Merkel took advantage of the country's economic strength in order to pursue German interests. Paramount among these interests, she believed, was a stable euro, and to achieve that she imposed levels of austerity on Southern Europe that left her at times looking like a stern and scolding school teacher. Germany assumed a dominant role in Europe. That may also have influenced Merkel at the outbreak of the refugee crisis to announce policies that had been conceived in Germany -- with her now famous line "We can do it" -- but that would also inevitably have consequences for the rest of Europe. She did this without consulting with others. In that sense, this sentence, as nice as it may have sounded, was also a pretension to power. It hid a European "we" inside the German one. No previous chancellor had done such a thing before, but the limits of German power were quickly exposed. Rather than slipping into Merkel's "we," most of Germany's partners instead formulated their own positions and blocked the admission of any appreciable number of refugees or pursued their own strategies for keeping them at bay. Indeed, the notion of a united Europe is currently under extreme duress, and no summit or compromise on refugees is going to be able to fix that overnight. The Europe of today is a collection of states that have become dangerously foreign to each other. For Chancellor Merkel, Monday's special EU summit is decisive because she wants to show in the run-up to important regional elections in Germany on March 13 that her refugee policies are actually starting to have an impact. To the majority of voters in her party, the conservative Christian Democratic Union, this means lowering the number of refugees arriving in Germany. Merkel is still focusing primarily on a deal with Turkey. Prior to the summit, Germany and Brussels launched a significant diplomatic offensive to make the meeting a success. European Council President Donald Tusk visited Turkey on Thursday, preceded by the deputy chief of the European Commission, who traveled regularly to Ankara for talks. The message from Europe to Turkey is that the action plan agreed to in the fall needs to be implemented. In order to be able to push Ankara to take back as many of refugees as possible, Greece is seeking to declare Turkey as a safe country of origin. Last week, Ankara signaled to EU officials for the first time that it could imagine the possibility of at least taking back economic migrants. In order to avoid appearing totally isolated in Europe, Merkel has recently set about slowly, but very clearly, transforming the main emphasis of her refugee policies. Although Merkel, like many others, initially pushed for the distribution of the refugees across the EU, the German chancellor is now emphasizing border protection as the highest priority. No one in the Chancellery is speaking anymore of the kinds of humanitarian gestures seen in September, when Merkel opened Germany's borders to the thousands of refugees stranded in Budapest. The German public mood has changed and the populace would not be pleased were Berlin to allow the refugees currently trapped at the Macedonian border to come to Germany. Chancellery officials may view the crisis in Idomeni as proof that border closures lead to chaos, but the closures have been advantageous to Merkel nonetheless, even if Berlin officials aren't saying as much. The number of refugees coming to Germany, after all, has dropped significantly. Others in Germany, though, are admitting the advantages. "There has been turning point in refugee policy through the closure of most of the Balkan Route," Bavarian Governor Horst Seehofer told SPIEGEL. "Germany is a beneficiary." It is a statement that puts Seehofer in agreement with the government in Vienna, which has accused Germany of making a public fuss about the border closures while profiting from the development at the same time. As ugly as the images coming from Greece are -- and they even have the potential to get worse in the coming days -- they are unlikely to cause too many European governments to lose any sleep. They send a message of deterrence to those who might be considering making the trip. On Thursday, Dutch Prime Minister Mark Rutte, whose country currently holds the six-month rotating presidency of the EU, said he wants to see no new refugees arriving in Greece in the future. "We need to bring it back to a level from which we can see zero," he said. "It has to be really considerably lower than it is today." During a visit with Greek Prime Minister Alexis Tsipras on Thursday, European Council President Donald Tusk appealed to "economic migrants" not to come to Europe. "Do not believe the smugglers," Tusk said. "Do not risk your lives and your money. It is all for nothing. Greece or any other European country will no longer be a transit country." Many of the migrants now being held up in Greece -- the majority of whom want to continue on to Germany -- are assembling in and around Athens. Ferries transport them from the Greek islands to the harbor at Piraeus in the Athens urban area. They disembark the ferries by the hundreds, with weary faces and carrying plastic bags and backpacks. They often have children in tow and can sometimes be seen pushing the elderly in wheelchairs out of the ship's belly. Sometimes a ship arrives carrying as many as a thousand refugees. Piraeus these days feels more like a catchment basin than a harbor. It's not known precisely how many refugees are currently staying in the port area, but estimates put the figure anywhere from 1,500 to 5,000. They've used towels and cardboard boxes to build shacks, with tents erected in the rare places that have any lawn. Laundry dangles from seemingly every small palm or spruce tree as it dries. Families are camped out in the waiting halls. Meanwhile, hundreds of Afghans are spending their nights on Victoria Square in Athens, where they string up plastic tarpaulins from bare tree branches to protect themselves from the rain. When asked how she feels about the scenario unfolding in front of the windowpanes, a café owner breaks down in tears. Thousands are now residing outside the city center, for example at the old Elliniko airport along Athens' southern coast across from Aegina island. Journalists are currently banned from entering these "official" camps, allegedly because those helping the refugees have been overwhelmed by the media attention. It is largely Afghan nationals who are being housed here, people who have little to no chance of being able to continue their journey. There are no shower facilities and only nine Porta-Potties can be found in front of the entrance. The stench in the terminal building is oppressive, with heaps of trash piling up between tents and blankets. A small and wiry Greek woman named Hala runs back and forth between the tents. She holds her mobile phone in front of her mouth like a Walkie-Talkie. She's the sole person responsible for ensuring that the hundreds of people staying here are provided with water and at least something to eat. Hala says the situation here is "surreal." Scenes like this are one of the reasons that Greece will top the agenda at Monday's summit. Merkel wants to prevent the country from drifting into chaos. "We did not keep Greece in the euro to abandon the country now," she says. On Wednesday, the European Commission announced that €700 million in emergency aid would be earmarked for Greece and other countries heavily affected by the refugee crisis through 2018. Just recently, the EU dispatched experts to the affected areas in order to work together with the UN Refugee Agency to build up the infrastructure necessary for providing care to the refugees. It's the first time that a humanitarian relief mission has ever been conducted inside the borders of the European Union. The Greek government itself ignored the refugee crisis for as long as it could. It pursued a strategy of merely waving the refugees through as they arrived in the country. Athens knew that it would soon be stuck with the entire burden if it didn't. And that, it appears, is exactly what is happening now. The thousands of refugees in the tent city at Idomeni have been left to fend for themselves because, officially, the camp still doesn't even exist. The Greek government is also hopelessly overstrained in other places. For a long time, the country wasn't even registering refugees after making the crossing from Turkey to one of the Aegean Islands. After his election in January 2015, Tspiras at least established a Migration Ministry, albeit with a miniscule staff of 20. In October, his government promised to set up shelter capacity for another 50,000 people within three months. In addition, so-called "hotspots" were to be set up on five Aegean islands to receive and count refugees and then transfer them to the mainland. But very little happened. By January, only a single reception facility had been opened, on Lesbos. This is why the Greek prime minister has involved the last institution in his country that is still able to act reliably and quickly: the military. Greek soldiers are now to erect tent camps and repurpose barracks as provisional living spaces in Athens, Thessaloniki and elsewhere. The decision came so unexpectedly that some mayors only learned from the newspapers that their municipalities would soon be home to thousands of migrants. Giannis Mouzalas openly admits that his country is not able to handle what is currently taking place. Greece, he notes, is still suffering badly from the effects of the euro crisis. Mouzalas, the minister responsible for immigration, is sitting with tired eyes in his office at the Interior Ministry. He repeatedly points out that it is a humanitarian crisis. "Actually, everything," he answers when asked what kind of help his country needs the most. He goes down the list: containers, personnel, tents, food, medical assistance. And money, of course. "The situation in Piraeus is horrifying," Mouzalas says. The faster images of the misery are disseminated around the world, the better, he says, so that aid might finally arrive. And it needs to come quickly -- before Greece sinks into chaos. Mouzalas, who isn't a member of the ruling Syriza party himself, nevertheless defends his government's policies. He says there was never a time when Greek officials simply "waved refugees through," as they have been accused of doing. "What are we supposed to do if they don't want to be here?" he asks. When asked how the Greek and European refugee problem should be solved, he is vague, saying only: "We'll see." He lights a cigarette and says he hopes that the plan being hammered out with Turkey will be successful. "That's actually our last chance," he says. Ironically, Mouzalas says, relations between Germany and Greece are better now -- in the middle of the refugee crisis -- than they have been in years. Germany has provided extensive help to Greece from the very beginning, he says, particularly by taking in so many people. The place where the dramatic developments in recent weeks got their start is the Spielfeld border crossing on the Slovenian-Austrian border. Only 80 asylum applications per day are now being accepted here, with 3,200 people being allowed through if they intend to travel onward to Germany. By imposing such limits, Austria set off a domino effect throughout the Balkans, essentially closing off the route all the way down to Macedonia. Officer Michael Puchegger only allows those refugees to pass who don't make any mistakes. Their passport can't be forged, they cannot have an entry in the international criminal registry and they have to give the right answers to the questions they are asked at the border. It is here -- where not that long ago some 8,000 refugees were passing through each day -- where the clash of cultures can be better observed than anywhere else. Refugees who are afraid of Fortress Europe encounter a Europe that is afraid of refugees. On a recent Tuesday, Nayah, from Aleppo, covered in black from the top of her head to the soles of her feet like her mother, drags herself and her three children the final few meters to the Austrian flag. Aside from her, there are no other refugees around. The corridor she walks through is secured on both sides by razor wire and there is a massive metal door at the end. In between are metal turnstiles and a maze of fencing. The first questions are simple: Family name, first name, former place of residence. Then comes the decisive moment: Where do you want to go? "Almania," says Nayah. The interpreter translates: "Germany." "Why Germany?" the police ask. Silence and mumbling comes in response. The correct answer only comes following a bit of friendly assistance from the interpreter: "Because we want to ask for asylum in Germany." "Five for Germany," the policeman calls out, and waves the Syrians through. Wrong answers at this point in the journey would be: "I want to go to Germany to work as a teacher," or "because my brother lives there." Those who slip up, even just once, are sent back to Slovenia, and from there, if they don't apply for asylum, onwards to Croatia, Serbia, Macedonia and Greece. It is rare that Austria takes on the kind of leading role on the diplomatic stage that it has in recent days. "Normally, we prefer to hide and to say: Austria is such a small country, we would like to pay the children's rate for our security, please," jokes one high-ranking official in the Austrian Foreign Ministry. But these days, the situation is reversed, with Vienna -- in this existential EU crisis -- setting the tone regardless of what Berlin or Brussels thinks. It's almost as though Austria once again wants to flex its muscles in the Balkans, its Habsburg-era sphere of influence. The push by normally docile Austrian Chancellor Werner Faymann has triggered annoyance in Berlin and unequivocal rage in Athens. On Tuesday, Greek Prime Minister Tsipras even went so far as to accuse Faymann of panic and "spasmodic moves" due to upcoming presidential elections in the country. Faymann, a member of the center-left Social Democratic Party of Austria (SPÖ), is indeed under pressure. On the one hand, 29-year-old Foreign Minister Sebastian Kurz, a member of Faymann's conservative coalition partner, the Austrian People's Party (ÖVP), is wildly popular. On the other, though, the right-wing populist Freedom Party of Austria (FPÖ), led by Heinz-Christian Strache, is leading in nationwide public opinion polls. It has only been since Faymann freed himself from unquestioned loyalty to Angela Merkel that his party's poll numbers have risen slightly. "Austria is not a waiting room for Germany," Faymann said during European Council President Donald Tusk's visit to Vienna on Tuesday. Germany, the Austrian chancellor continued, should pick up its refugees from Greece and countries neighboring Syria in the future. "In the refugee crisis, we need common European solutions," Faymann told SPIEGEL. "As such, I am proposing a fund to which every EU member contributes, just like with the bank bailouts. The money should be used to cover the costs of the asylum applicants." On a per capita basis, Austria received more asylum applicants last year than Germany did. That means that criticism from Austria carries much greater weight than that from countries to its east, where opposition is even stronger. In most formerly communist EU member states, the electorates are largely xenophobic and the belief is widespread that refugees would bring epidemics, terrorism and Sharia law into their countries. The influx, many in Eastern Europe believe, is but the advance guard of an expansive Islam seeking to take over the Christian West. Far-right parties across the region have profited from such fears, while Czech President Milos Zeman has taken the lead in his country. "The Islamic refugees are bringing Sharia into our country. That means unfaithful women will be stoned, thieves will have their hands chopped off and our beautiful girls will be forced to wear the burqa," he has said. From the Eastern European perspective, the refugee crisis is a German problem. "It's a simple concept. I invite guests over and when I decide there are too many, I knock on my neighbor's door and say: Take care of my guests," Slovakian Prime Minister Robert Fico said in mid-February. The construction of Fortress Europe, which was never supposed to be built, is quite far along in Eastern Europe and in the Balkans. There are fences between Turkey and Bulgaria, between Hungary and Serbia and between Greece and Macedonia. Slovenia has once again begun using Yugoslavia-era customs barracks on the Austrian border. There are still alternative routes leading through Croatia and Albania, but soon, the Balkans will only be traversable to those with even more money. In the Serbian town of Sid, authorities have established a kind of preliminary deportation station. Here, roughly halfway between Greece and Austria, those refugees who have been picked up along the trail are divided into groups, with only Syrians and Iraqis allowed to continue their journeys north. Afghans are now forced to turn around as are those from the Maghreb, many of whom try to claim they are from Syria. Croatian police check out the migrants right on Serbian territory. Construction of the fortress is continuing regardless of what the EU decides at its summit on Monday. Indeed, the expectations are low for the gathering. It's not even clear if the summit will result in a summit statement, as is normally the case. Whereas Germany would like to see a binding document, Poland and Hungary don't, arguing that the focus of the meeting will only be on the implementation of previously agreed measures. Angela Merkel's top priority is a deal with Turkey in an effort to protect the EU's external borders. The Greek border is of particular concern and both NATO and the European border control agency Frontex have been tapped to reimpose order there. Officials in the Chancellery believe that the first step must be that of bringing illegal immigration into the EU almost completely to a stop. All other issues will get short shrift at the summit. The idea of establishing mandatory refugee quotas for EU member states is dead. Instead, Ankara is to be offered that a "Coalition of the Willing" will accept refugees directly from Turkey, but only after the border is secured -- if the country agrees to take back economic migrants. As such, Turkey is to be the guest of honor at the summit. First, EU heads of state and government will meet together for lunch with Turkish Prime Minister Ahmet Davutoglu before EU members meet amongst themselves without their guest from Ankara. EU politicians are already talking about significantly increasing their offer of €3 billion in financial aid for Turkey. European Commissioner Günther Oettinger told SPIEGEL: "Europe should offer Turkey further financial support beyond 2017. When it comes to the regular payment of benefits that Turkey offers refugees in the form of shelter and food, annual sums quickly add up to six or 7 billion." Thus far, Turkey hasn't done much to stop migrant smugglers or to prevent refugees from traveling onward to Greece. To be sure, the EU implementation report that will be presented at Monday's summit is careful to praise every truck and boat full of refugees stopped by Turkish authorities. But there has not been a sufficient reduction in the number of refugees crossing the Aegean into Greece. In February, 56,335 refugees crossed the narrow strip of sea from Turkey's west coast to the Greek islands -- for a daily average of 1,943. For Europe, it is also alarming that the share of Syrians among those now arriving to Greece is plunging. "The numbers reflect a dropping percentage of Syrians (from 69 to 38 percent) and a growing percentage of Afghans (from 18 to 24 percent) and Iraqis (from 8 to 25 percent)," according to the report. How does the EU intend to confront such migration pressures in the future? How can the Schengen agreement, which guarantees border-free travel within the EU, and the Dublin Regulation, which regulates asylum applications, be saved? The dangers to Europe as currently constituted are not just visible at the razor-wire fences in Southern Europe, but also in Kiefersfelden, the Bavarian mountain town on the border with Austria. On "travel days," when vacationers and day-trippers make their return journey toward Munich from the mountains around Kitzbühl, traffic now backs up in the town. Locals hardly go out on the streets anymore and customers from Austria, who used to regularly frequent the town's shops, no longer come at all. The reason for the changes is the fact that the nearby A93 highway has for months been reduced to a single lane due to border controls. The result is a traffic jam stretching almost 10 kilometers (6.2 miles) into Austria. And a huge amount of traffic in Kiefersfelden as people try to avoid the backup. "If there was a fire at peak traffic times, not even the fire department would be able to make it through," says Mayor Hajo Gruber. He says the Bavarian interior minister has promised that traffic on the A93 will no longer be reduced to a single lane for border checks in the future. "I'm hoping for some relief," Gruber says. "The federal police badly needs more personnel and different structures if it wants to avoid these traffic jams." The Bavarian threat to use its own state police to implement strict border controls in the future is also taking shape. The Bavarian Interior Ministry and state police force have already asked Gruber where they might be able to set up mobile office units for border control officers. The recent hindrances to cross-border traffic are minor in comparison to the drama taking place in Southern Europe. But it shows that a Europe of open borders is endangered everywhere, even in places where cohesive trans-border regions have developed. According to a European Commission report, the reintroduction of internal border controls within the Schengen area would reduce EU economic output over a 10-year period by between €500 billion and €1.4 trillion. Just the direct costs for border controls will cost between €5 billion and €18 billion annually. Europe is risking its future by closing its borders. Not only will its economic power suffer, but also its global political influence. In the concert of large geopolitical powers, individual European countries do not have a loud voice, not even Germany. The United States and China are only interested in the EU as a whole. Size is decisive. If Europe is unable to present itself as a unity, it will be marginalized. Nothing would make European dissent more clear than the reintroduction of controlled borders on the Continent. Furthermore, the European project lives, both at home and abroad, from the successful unification of erstwhile enemies. And the current disagreement over refugee policy has threatened to destroy that unity. It is akin to gambling with the Continent's future. Europe in recent decades has become known as a liberal continent, whereas Fortress Europe would scare away the very people the countries of Europe would most like to attract: students, experts, engineers and scientists. Mid-May to mid-July marks a decisive phase for the Schengen area. That's when the temporary border controls currently in place -- allowed by the Schengen agreement in "exceptional circumstances" -- are set to expire. If Greece is unable to tighten up its external border by then, which seems likely, then the internal border controls may be extended by two years. The European Commission plans to present a roadmap on Monday. It calls for the removal of all internal border controls, including those undertaken by Germany, should the EU's external borders be adequately protected by the end of the year. Berlin has thrown its support behind the plan. In the next several weeks, the Commission intends to make progress on the refugee issue with a variety of initiatives. Among them is the reform of the Dublin Regulation. The rule requires refugees to apply for asylum in the first EU country in which they set foot, but it has been de facto suspended since the beginning of the crisis. The Commission proposal calls for asylum applicants to be distributed among EU member states for the duration of their application proceedings. That would shift the burden away from member states on the EU periphery to all European countries. In addition, it calls for the alignment of the divergent asylum standards applied by member states. Finally, the European border control agency Frontex could be expanded into a real border protection agency. That, at least, is the proposal made by the Netherlands, in its capacity as the current EU Council presidency. Greece in particular would like more support when it comes to border protection. But a proposal calling for European border officials to be deployed on the borders of an EU member state even over objections from that member state is a controversial one. Countries like Poland and Greece see that as a significant violation of their sovereignty. In Piraeus, the port city next to Athens, the huge blue cargo doors slowly sink to the quay as the cavernous ferry opens. The sound of chains scraping across the concrete and a shrill beeping fills the warm air as Blue Star 1 lands. The trip from Mytilini, on the island of Lesbos, via Chios to Athens normally takes 11 hours, but the Blue Star 1 arrives only after a five-and-a-half hour delay due to strong winds on the northern Aegean. Doaa Darwish, 25, sits on a low wall in front of the Pericles ferry terminal. She is wearing leggings and rubber boots, a silver ring pierces her left eyebrow. Behind her, baby sleepers are drying on a laurel bush in the midday sun. Doaa Darwish is from Yarmuk, a suburb of Damascus -- and she has finally arrived in Europe along with her three-month-old son Alaa and her two younger sisters. They traveled through the war zone to the Turkish city of Antakya and then on to the Greek islands of Farmakonissi and Leros via the city of Izmir on Turkey's west coast. She medicated her baby for the boat trips so he would stay calm. The trip took 25 days and was so stressful that Doaa stopped lactating. Her sister Walaa heads off in search of powdered milk. The sisters hope to continue their journey as soon as possible, with their first destination being the city of Idomeni on Greece's border with Macedonia. Doaa's husband, who is in Berlin, has sent her the telephone numbers of men who can help her get to the border. One of them wants to bring her directly to Macedonia. But his asking price is high. "We are three young Syrians with an infant," says Doaa. She thinks that will convince the Macedonian border guards to let them cross and will help them as they travel onwards to the north. The youngest, Esmaa, has only just turned 14. She had to come along because, as a minor, she is the one that makes them eligible for family reunification once they get to Berlin. Only then can they apply for their parents from Damascus to join them. Doaa says that she is so agitated that she can't sleep anymore, adding that, from what she has seen so far, she isn't particularly fond of Greece. She says it's disgusting here and that she has tried to avoid visiting the restrooms. Instead of eating, she smokes. The sisters take turns charging their smartphones. One of them always stays on the wall in front of the laurel bush, the only place where they can get free Wi-Fi reception. When Walaa comes back, she looks horrified. She says: "Some people have been stuck here for 10 days already!" But that won't happen to them, she says. Doaa nods. WITH all the pomp, pageantry and protest-deterring security, which are traditional at such affairs, the annual session of China’s rubber-stamp legislature, the National People’s Congress (NPC), will open on March 5th. Its agenda includes an unusually weighty topic: the discussion (and inevitable approval) of a plan for the country’s economic development in the next five years—the Communist Party’s recipe, in effect, for ensuring that the world’s second-largest economy does not stall. But many of the officials at the meeting will be worrying about a more pressing matter: their jobs. The biggest reshuffle in five years of leadership posts at every level of the Communist Party is getting under way. Hundreds of thousands of party bosses and their colleagues will be replaced, in everything from township party committees to state-owned enterprises. These changes will affect a series of other appointments: party leaders at every level are sometimes given concurrent titles such as mayor, CEO, or, in the case of Xi Jinping, whose main job is as the party’s general secretary, the largely honorific role of president. The drawn-out process will culminate late in 2017 with sweeping changes at the very top of the party. This will involve the retirement of five of the seven current members of the Politburo’s Standing Committee. The only members of that body who are almost certain to keep their jobs are Mr Xi and the prime minister, Li Keqiang. Six out of the 18 ordinary members of the Politburo are also due to retire. For Mr Xi these changes both high and low will be vital to the success of his policies for the rest of the time he has in power. When he took over in 2012, Mr Xi inherited a party bureaucracy stuffed at the highest levels with appointees of his two immediate predecessors as party chief (Hu Jintao, and before him, Jiang Zemin), and at the lower levels by officials used to running their localities in a manner suited to Mr Hu’s priorities. With the upcoming reshuffle, Mr Xi has an opportunity to stack the party hierarchy with his own loyalists. No wonder, then, that foreign dignitaries find Chinese leaders distracted. As much as the five-year plan, the five-yearly cycle of job uncertainty and related tension has determined the working rhythm of China’s bureaucracy since the 1980s, when a two-term limit was imposed on most leadership positions. Da huanjie, or “big changeovers” of personnel, occur in the build-up to, and right after, each of the party’s five-yearly congresses, the next of which (the 19th) will take place late in 2017 (not to be confused with the NPC, which is not concerned with party affairs). Mr Xi took over immediately after the 18th congress. By party convention, he too is subject to a two-term limit. That makes the 19th congress crucial for the consolidation of his power. It was Mr Hu (with help from a retired but ever-solicitous Mr Jiang) who supervised preparations for the 18th congress. So the build-up to the 19th will be Mr Xi’s first opportunity to make his mark on the appointment of so many officials. It will also be his last such opportunity before he prepares to retire at the 20th congress in 2022, assuming that is his plan. Mr Xi will only concern himself with the most important job changes; it is the party’s all-powerful and highly secretive Organisation Department that will decide on most of them, based on his guidelines. These, it would appear, suggest that candidates must be unswervingly loyal to Mr Xi. In recent weeks, several provincial party chiefs have hailed Mr Xi as the “core” of the party leadership, a term that had long been abandoned in favour of language that suggested a more collective style of rule. Mr Xi, it appears, has no scruples about being seen as the pre-eminent strongman. During the NPC, which normally convenes for about ten days, foreign journalists will have a rare opportunity to see the provincial party bosses who are likely to get jobs in the Politburo after the 19th congress (media are given access to many of the meetings at which delegates, grouped by province, parrot the party line). But it is still far from clear which of them, if any, are being groomed by Mr Xi to replace him and Mr Li after the congress in 2022. At this point ten years ago, there was already speculation that Mr Xi and Mr Li—both then provincial chiefs—were front-runners. Today the field looks more open. The party boss of Guangdong province, Hu Chunhua, and that of Chongqing, Sun Zhengcai, are possibles. But they may be handicapped by their lack of strong connections with Mr Xi. Others include Chen Miner, the party chief of Guizhou province who once worked closely with Mr Xi, and various officials in the central leadership including Ding Xuexiang of the Central Committee’s General Office and Zhong Shaojun of the party’s Central Military Commission (which Mr Xi heads). Unlike a decade ago, there are rumours that Mr Xi may be thinking of flouting convention and staying on after 2022. If this is so, it has not resulted in any less scrambling for top positions. The confusion this contest has caused among subordinates, says Chongyi Feng of the University of Technology in Sydney, Australia, is slowing down implementation of the market-oriented reforms that Mr Xi has promised. So too is Mr Xi’s campaign against corruption; officials fearful of being accused of graft by rivals prefer to keep their heads down rather than get involved in projects involving large amounts of money. Minxin Pei of Claremont McKenna College in America describes a Chinese bureaucracy “paralysed by fear”. The Organisation Department is looking out for anyone who is at risk of daibing, or “carrying sickness”, meaning transferring a habit of corruption from one job to another. One attribute that may help candidates for promotion is being well-versed in the Communist canon. In recent days, official presses have been rolling out copies of an obscure Maoist text: “Work Method of Party Committees”, first published in 1949. Mr Xi has ordered officials to study the tract, which includes an instruction that party bosses must (metaphorically) “learn to play the piano”. This, Mao explains, means they should attend to everything just as a pianist uses all ten fingers. They should not “give all [their] attention to a few problems, to the exclusion of others”. Mr Xi himself, with pressing economic matters to attend to as well as the reshuffle, should perhaps take note.